Ran 8 yesterday: No pain, No stiffness. I'm back. I did fall slightly out of shape, as my heart-rate was slightly higher than it was supposed to be, but I hope that will be a quick recovery as well. I will do my first longer run this weekend (~15 miler), before I step up significantly next week. Well folks, I'm back in it. At least things are looking good so far anyway. I went out yesterday for a nice and easy 4 mile run, and had absolutely no foot pain. When I got home, I made sure to stretch for a long time and ice the foot a little. The real test was this morning to see if there was any residual pain. I'm happy to report that I am up and walking around this morning with no pain whatsoever. I am going to go out again late tonight and try for an easy 6, and see how I feel, but it appears that I'm ready to ease back into my full running schedule again. ...This means Leadville might still be a real possibility. as far as he/she can tell....BUT if symptoms/pain persist in 7-10 days, to come in for an additional x-ray. There's always the possibility of a small fracture that was missed. I'm taking this as good news that it is just a pull/strain. It has been feeling better everyday, but is still pretty tight. I am bummed that I will fall a little out of peak running shape, but I'd rather not re-injure and aggravate the foot before it's healed (and nix Leadville for good). I had my foot x-rayed today at the University Health Center and I apparently have 3 of the doctors and one of the radiology technicians baffled. When I pulled my sock off, the doctor was convinced I had a stress fracture. When I got the x-ray, the technician was also convinced. When the images came up however, neither could find a definitive break. They even brought in a 2nd doctor to look and he couldn't find one either. The current diagnosis is that I strained a ligament on the edge or bottom of my foot. They've sent my x-rays to the Hershey medical center so that a Radiologist can look at them and make the final call, so I have my fingers crossed. I was told that if it's merely a sprain, I can start running again in 5-7 days (provided that pain is completely gone) If it's a break though, I will need to be off it for a while and that means Leadville is most certainly out. I have been taking it very easy since Vermont and have been continuing to ice. I'm also wearing the ski-boot they gave me to keep it stable. Never in my entire life, have I ever been so close to the brink of my physical and psychological limit. I have thru-hiked for 107 straight days on the Appalachian Trail, 23 days on the Colorado Trail, endured 2 months in Antarctica, and ran several 50 mile ultra runs. But never have I experienced what I did this past weekend. You are reading this probably thinking I'm exaggerating, or simply trying to make it sound more "extreme"...but I speak completely honestly when I say such a bold statement. Sure, there are people that do these 100 milers all the time, and even finish in incredible times. But for me, this was something that I don't think I was really supposed to be able to do. I have completely and utterly annihilated my body. As I write this I'm lying on my bed very nearly unable to move with what is appearing more and more to be a stress fracture in my left foot. (yeah I know...goodbye Leadville). I was up all night long with intense stomach cramps and aches....probably due to all of the advil, aleve, and overall trauma I put my body through. At 3:15 am Sunday morning when I crossed the finish line, after having run non-stop for nearly 24 straight hours, I stood in amazement at what I had just accomplished. I hobbled around for a few minutes talking with some other finishers, waiting for some of my fellow runners to come in behind me. Moments later, for the first time in my entire life, I felt my body completely turn itself off. I have never felt so utterly helpless as I did at that moment. I looked at Chris (my pacer) and said something along the lines of, "Something doesn't feel right and I'm not sure what's happening...." and the next thing I remember, I was on the grass with medical staff shoving an oxygen mask on my face. I was led to the medical tent where I was wrapped in multiple blankets and heat packs for over an hour unable to get warm. My body was in complete and utter shock....and was quite frankly just pissed off at me. I managed to finally overcome all of this by 5 am, and took the very short walk back to my tent where I curled up in my very warm sleeping bag and tried to sleep until 10am...although there wasn't much sleeping. I have since made it back to State College, surprisingly the drive wasn't too bad....it was getting out of the car last night that was bad. I went into this Endurance Run with the goal of simply finishing. I had set a very loose goal of of trying to win one of the elusive buckles by breaking the 24 hour time limit as well, but it was just that, a very loose goal. I made the drive up to central Vermont Friday morning and pulled into Silver Hill Meadow around 1 Pm. I checked in, weighed in, set up my tent, and attended the mandatory information meeting. I also met up with my pacer Chris and made arrangements for the next day. I placed out all of my drop bags and ate an ENORMOUS dinner of pasta, pasta salad, and ice cream....mmmm. At 3 am I was woken up to the sound of "Chariots of Fire" playing over the loud speaker. I got suited up in my gear and headed down to the start line in the dark. I had my full head lamp at the 70 mile aid station, and had decided to simply use a couple of cheap-o LED lights for the first hour from 4am to 5am. I figured there'd be enough other runners around to provide ample lighting around me until the sun came up. After a bagel and some coffee, promptly at 4am, we started a 10 second countdown.....and began running. The first 10 miles went by fairly quickly. I found a good group of folks to trot along with and was in a very slow comfortable groove. The first few aid stations were unmanned, and so there was only water and HEED. It was during these, that I mostly just filled up my water quickly and hit some gels. I ran for a while with Christine and Charlie (both affiliated with the Finger Lakes Fifities Race) and they were excellent company. The sun came up and miles began to accrue slowly. The course was mostly on dirt roads up to this point and things couldn't be better. The weather was still holding out from raining and we had great cloudy cool conditions. Somewhere around mile 14, I was greeted by some people on horseback. 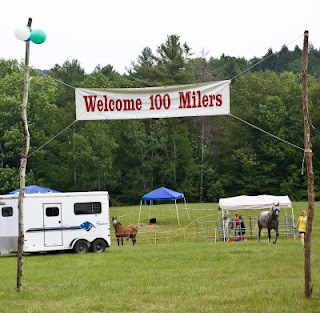 Up until race day, I had no idea that the Vermont 100 was also a 100 mile horse race. For the next few hours the horses that had started an hour after we did, had caught up and were passing us. It was quite a pleasant surprise to see a whole slew of friendly folks on horseback giving us some verbal support. At around mile 25 I started noticing my left foot was beginning to hurt a bit. I figured it was just a kink that had to be worked out, but had still come to the conclusion that I would switch out of my trail running shoes and into my road shoes at mile 47. By mile 30 I was starting to get very worried something was wrong, but was still holding out that it was just my trail shoes causing some kind of irritation...and the advil was holding the pain at bay. I pushed on and started running with a woman named Sue somewhere in the 40 miles (Charlie had also caught back up). At mile 47, I hit camp ten bear aid station and finally switched out my shoes to my Brooks ASR's (Road shoes) and was hoping this would help with the foot situation. I took a good 5 minutes here and had my first weigh-in. If you gain or lose too much weight they can pull you from the race. In my case I had only gained just about a pound, and so was still fine. I headed out past all of the crew vehicles and made my way to the aid station at mile 51. When I arrived my foot was feeling better, and I was pretty excited to have gone 1 mile further than I have ever gone. I looked at my watch and realized I had actually ran 50 miles in just over 11 hours. I couldn't believe I had managed to go that fast. This meant that I could run the second half in almost 13 hours and still break 24! I didn't want to get too excited because anything could happen in the next 49 miles, but it was now starting to seem at least plausible. The next 20 miles were tough. I hadn't yet met up with Chris, but I was still running with Sue and Charlie. They proved to be excellent unofficial pacers. We were on the same schedule, running the same strategies. I was still managing to trot the flats and jog the downs...so this was good. My legs still felt ok, and the foot was so-so. I had been putting down quite a bit of ibuprofin though, so I'm sure my stomach and liver weren't happy. I had told Chris to expect me at mile 70 around 8pm at the earliest. I had my headlamp there, but was still carrying my two mini LEDs in case it started to get dark first. It didn't matter and I ended getting to mile 70 at 7:30 pm, a half an hour earlier than I even thought possible. Chris was there waiting and immediately grabbed my water bottle to fill it and took care of me. It was truly great to see him and to have someone to help me out. I explained to him quickly that we wouldn't be going very fast, and wouldn't be running a lot in the last 30....and he said he'd do whatever I wanted. I changed my socks and shirt, and headed out with Chris (with Sue and her new pacer just behind). As the sun began to go down, one last horse that had been held up for hours earlier in the day had caught up and passed us. The rider wished us luck, told us we were doing well, and trotted on ahead. Then began the night-time marathon. For the next 15 miles the four of us went into complete aid station mode....calculating the exact distance to the next station and how long at a walk/trot it would take to get there. The hills were getting very tiresome, and we all ached for some flat sections (which never came). At mile 83, we had our last 5 mile stretch to Bill's aid station at 88. I knew this would be the last mentally tough challenge, but there was no way I was quitting with 12 to go. When we finally made it up the long climb I knew it was all starting to become a reality. 12 to go I thought....that's one loop around State College! I got some hot ramen noodle soup and started walking, telling Chris to catch up. He met up with a friend at the aid station and talked for a bit, and eventually ran up to me about 1/2 mile in to the next station. From mile 88 to mile 97, I mustered up my last bit of strength and managed to run quite a bit of the flat and long sections. I ended up passing over a dozen other runners during this stretch. I had also left Sue behind and was on my own with Chris at this point. Things were hurting all over but I just kept telling myself only a few more to go. My foot was starting to hurt really badly at this point, and I just kept asking Chris, "If we walk it outright, will I still break 24?". His was response was always something like, "maybe, but we're doing all right....let's keep it going". At mile 97.7, we hit the last aid station, an unmanned water stop. I filled up my bottle, and stopped for a moment to take in the fact that I was at aid station 29 of 29...the last in a 100 mile endurance run. crazy. We broke out of there and made our way over some pastures and through some good single track trail and finally saw the sign that said, "1 Mile to Go. You can do it!". I could hear the faint sound of a crowd of people cheering off in the distance as runners ahead of me were obviously finishing. Somehow I had managed to convince my body to keep going all day. When I saw that sign though, my brain started to realize it was just about over, and my body began shutting down ridiculously fast. I would try to run and make it a few steps and stop.....and that went on for a while. At around 99.7, we started to see the lights from the finish line and the VT 100 staff had gallon jugs of water set out with glow sticks in them as sort of a make-shift finish line runway. I rounded the last corner and heard a crew member loudly ask for my bib number. I screamed, "65!" and took off towards the finish. I don't know where I pulled any energy from, by I tore up the grass towards the finish banner, hands high over my head screaming. I probably looked pretty rediculous, but didn't care. People were cheering, and I had done it. I had done it. 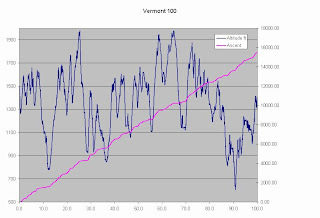 I had finished the Vermont 100 Endurance Run in 23 hours 15 minutes 7 seconds. I had done it. Minutes later I was curled up in the medical tent shivering uncontrollably as staff tried frantically to keep me warm. Never in a million years did I think that I would run/hike/walk for 24 straight hours. I have never experienced being so close to the absolute limit of my my physical capabilities. 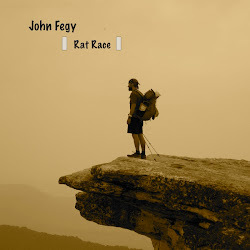 While I still feel that the mental struggle was more difficult on the Appalachian Trail, the overall psychological limit I reached in this one day was more extreme. I will also followup on the status of my left foot and what this will mean for Leadville and/or Vermont 50. 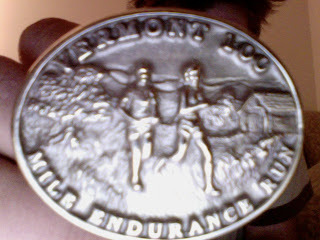 I just wanted to post very quickly for anyone wondering whether or not I finished the Vermont 100.......I did. I will put up a race report detailing everything once I actually gets some sleep.....I can barely remember my own name right now. Well it's not looking good weatherwise for my first 100 miler. They are calling for rain for basically the entirety of the race. I say booo to "they" and "their" penchant for dropping crappy news on 270+ enthusiastic runners! Found a Pacer for Vermont 100! Good news everyone! 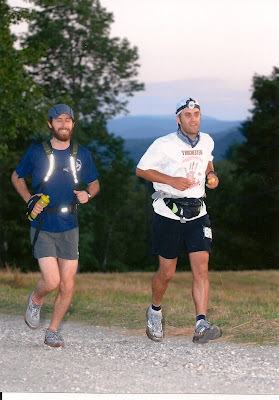 The Vermont 100 staff has placed me with a pacer: Chris Wolff. I've emailed him and it sounds like it's going to be a great setup. He is also an avid runner that is getting his feet wet in the ultrarunning scene by doing this pacing gig here at Vermont. From the email I received it sounds like he will be in similar shoes by this time next year. His girlfriend is also pacing another runner at Vermont, so they are definitely putting in a lot of volunteer hours for this race between the two of them....which of course is Awesome! They are both coming in from Burlington VT, so the drive shouldn't be too long for them either. This is a huge weight off of my back, and now I can focus on my drop bags, and various other supplies. To all of my State College friends that offered to help, I am sincerely grateful. I could never have asked any of you to drive 8 hours each way to give up a whole weekend for me (for a race that I might not even finish)....yet you still openly offered. It is hard to find friends like you. Of course the invite is always open, but at this point, any role would simply be as a crew member at aid stations.....not a particularly glamorous or a productive use of a weekend. Starting to get a little excited! Well...here we go. Race week. This Saturday I will stand, in the dark, at the starting line of the Vermont 100 outside Brownsville VT....for what will be my first attempt at completing a 100 mile ultrarun. I have never attempted a race longer than 50 miles, and so this will be quite an experience. 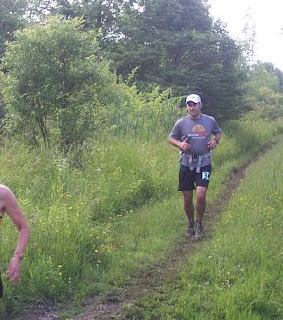 The Vermont 100 is a classic in the in underworld circuit of ultras. Something about the rolling hills of vermont, in the heat of the summer, and the creative aid station themes, that has allowed this one of a kind race to achieve an almost legendary status. To cross the finish line in the 30 hour time limit. There is also a secondary goal of finishing in under 24hrs and winning on of the famous buckles! However even if I quit at mile 51, I will have gone farther than I've ever gone. Getting the supplies and logistics in order for this race are quite involved. 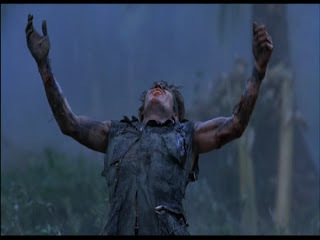 I will have drop bags, and head lamps, and caffeine tablets, and ibuprofin, and a possible pacer. Things will just be different. I've never had to run long distances in the dark. I've never had to do mandatory medical checkpoints. I have certainly had to deal with being in the middle of nowhere and fighting the urge to just stop (ie several days on the Appalachian Trail), but never while in an actual timed race. I also don't do particularly well in very sunny hot conditions. Right now, race day is calling for partly cloudy with temps in the mid 70's. This isn't terrible, but it isn't great either. Friday, July 17th, 2009 - Camping at Silver Hill Meadow opens. Portable toilets will be available. PRE-RACE CHECK IN from 9:30 to 3:45 - all runners must submit to a physical exam which will involve checking vital signs and weight in running gear. This is not a complete physical. Runners must show evidence of adequate training and be knowledgeable about stress factors of prolonged exercise in adverse conditions. RUNNERS AND CREW BRIEFING MEETING at 4 PM - Attendance at this meeting is required for all runners, handlers and pacers. We will review trail conditions, aid and medical station locations and procedures and any special situations. This is the time to get your questions answered. Saturday, July 18th 2009 - All runners must check in with the timer between 3 and 3:45 AM. Something else to consider. The Vermont 100 does not offer the luxury of "flat sections". You are either going up, or going down. The elevation profile looks like a seismogram! I guess if I had one thing to say is that I'm going to go out there and have fun. I'm going to plod along and enjoy myself. Yes it will hurt....yes it will be hot, yes I will dream of quitting. But I will fight to finish until I have nothing left with which to fight....or I'm out of time. So with two 100 milers coming up this summer, I thought it would probably be a good investment to purchase an actual trail running headlamp. 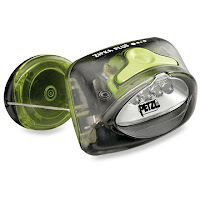 Over the years, I've religiously used the Petzl Zipka for all of my hiking adventures. It is still in my opinion the lightest, most efficient, long distance hiking headlamp around. The batteries last forever, and it provides ample light for night-hiking (although I only really night-hiked a few times). I have carried my zipka for almost 3000 miles of hiking and it has never failed me. 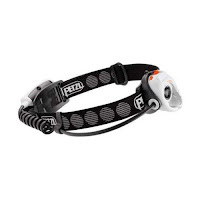 With that being said however, I find the Petzl Zipka inadequate when it comes to night time trail running. It just doesn't show you enough of the trail up ahead to feel confident that you are not going fall face flat onto some pointy rocks. 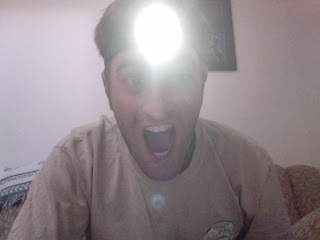 So, I did some research and managed to find the Petzl MYO RXP. 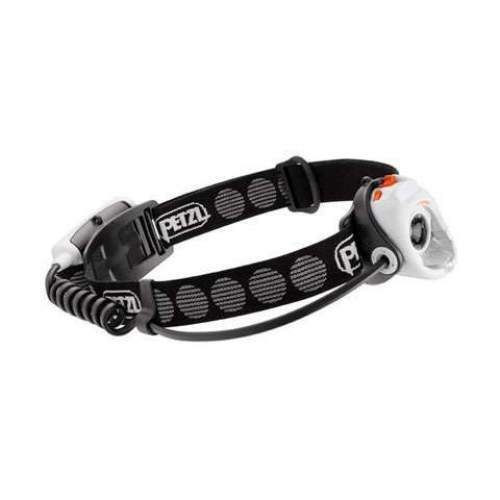 This is a new model from Petzl that's marketed just for ultrarunners. It was a little pricey (although on sale at EMS), but I figure it will be worth it. I haven't had a solid test yet (plan on doing tonight), but as far as lumens go, it is over 4x as bright as the zipka in its brightest mode. It also features 10 different lighting levels, a wide-angle and focus beam setting, is compatible with Lithium batteries, and has a Boost switch (that gives you 20 seconds of 160 lumen powered awesomeness!). The only downside is that it is a bit heavy with a battery pack at the back of the head. It does come with an additional "over the head" strap that keeps it in place though. 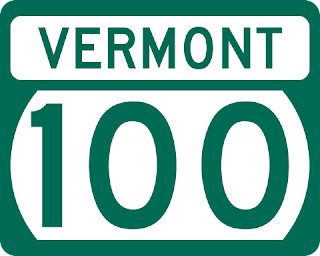 Ok so I know this isn't really the image for the Vermont 100 Ultra run (and that it is actually for VT Highway RTE 100)...but I thought it was cool nonetheless. I received an email yesterday that the Vermont 100 staff has had a dearth of volunteer pacer sign-ups this year. I was relying on a random sign-up volunteer for the race to pace me for the last 30 miles. Everyone I've talked to about doing 100 milers has stressed the importance of having a pacer for those last 30 miles when it feels like all hope is lost. "Got the pacer request and am looking. You are pretty far down on the list right now but We are delving into the High School kids at this point. Tag me at this email next week to see how I am doing. i will send an email with a pairing if i find someone." If anyone feels like hanging out in Vermont Next weekend let me know. It will be a lot of fun with a lot of good people. Camping, campfires, lots of good food, good people, good stories, fun volunteering....etc. You get the point. I'll throw in a bottle of wine or case of beer, or whatever to whomever wants to help. There's still a good chance I might get an assigned pacer from the VT 100 crew, but I figured i'd throw this out there anyway. let me know if you are interested. It would be a huge commitment and involve giving up basically your entire weekend, (and probably involve a lot of driving). Of course it would also involve jogging along for 30 miles with me (although by mile 70, it will probably be a lot more walking than jogging). oh and as far as Leadville, I do have a friend that has already graciously offered to crew me, but still looking for a pacer there as well. (although I've signed up on their "need a pacer" database as well. 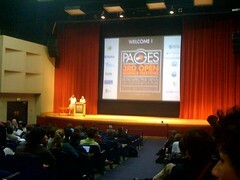 PAGES talks have started. Good stuff so far. 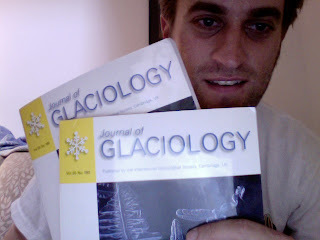 "Using Bubble Number-Densities of WAIS Glacier Ice as a Paleoclimatic Reconstruction Tool: Methods and Current Findings"
Should be a great conference...and I'm really excited to see Oregon. It is one of the few states I haven't been too, and I'm certainly going to make use of the rental car and any free time I get. I might even try to skip up to Crater Lake. I'd love to do some trail running out here, but I'm still very sore from the Finger Lakes Run. I plan to start easing into it tomorrow, but will only run short distances as the Vermont 100 is in 11 days. If I had to pick one word to describe today's ultrarun.....it would be MUDDY. I drove up to the Finger Lakes National Forest last night and camped out at the Potomac Camp Ground. 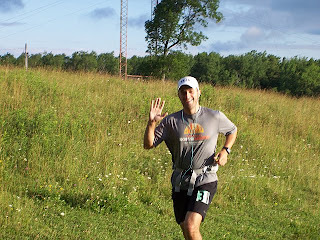 The Finger Lakes Fifties features a 50 miler, a 50K, and a 25k. I signed up for the 50 miler, but was told I could opt to quit after 50k since the course was made up of 15.5 mile loops. The course itself was incredible. Not a lot of elevation gain, but over 90% of the running was on single track trail. There were a couple of ridge-top pasture areas that had me running along with view across the Finger Lakes Region. It was stunning. The weather.....couldn't have been better for a July 4th. It was mid 60's, overcast, with a nice breeze all day. I never got hot. The aid stations: Plentiful. There were 4 stations on the 15.5 mile loop, which meant 12 stations for 46.5 miles. In order to make it 50 miles, a 3.5 mini-loop was tacked on at the end, and there were no aid stations during this loop (obviously). The downside.....Mud, mud, mud, and more mud. 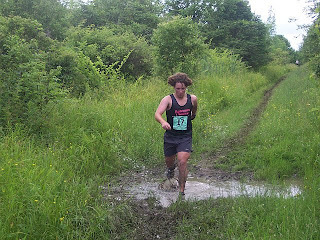 I didn't mind the mud as far is it being sloppy and nasty, I minded it because it made the running very difficult. Running 50 miles with heavy shoes, and sliding all over the place, makes for a nerve-wracking day. I was constantly worried I was going to slip and break something. Lap one was the best of the three. I started off slowly, but confidently. the 50K and 50M runners all started together, which made for a starting pack of about 60+. Early on the single track trails were very congested. It made it hard to get a decent stride as everyone was packed very tightly together. The mud was not too bad the first time through....but still nasty nonetheless. Most of the course ran North/South...which meant along the ridge lines. Only at the Northern and Southern ends did the course cut East/West and involve some steep climbs. I made my way around the loop, not spending very much time at the aid stations, and coming in to the finish at 3 hrs, 5 minutes. This was great. At this pace, I could feasibly finish a 50 miler in under 10 hrs! Unfortunately, each lap got progressively worse, and was not able to maintain that pace. By the time I started up on Lap 2, the crowds were completely gone. I spent most of my time running alone in the woods. While it's nice to have a running partner to act as a motivator, I also prefer to run alone. I worked my way through the second lap exactly the same as the first and managed to finish only slightly slower in a time of 3hrs 12 minutes (only 7 minutes slower). When I crossed the line, the staff asked me my plans. I was given the option of calling it a day, and receiving a 50K finisher award. I looked at my watch and it wasn't even 1 PM yet....so I made the command decision to go on and shoot for the 50 miler. By the time I started into my third lap, I was starting to really feel it. My legs were sore, I was walking a lot more, and I was overall just feeling exhausted. My heart-rate was still in a good range, so I wasn't worried. I was also a bit nervous up to this point because I hadn't had to go the bathroom yet, and was worried about possible kidney issues. Those worries subsided quickly though as I finally had to go around mile 35...and then about every 5-7 miles after that. I guess I broke the seal. When I made it to the final aid station, I was really starting to struggle. All I kept thinking was, "How in the HELL am I going to run 100 miles in 2 weeks, when I can't even finish 50!" I'm still not sure how to answer this question. When I was about 2 miles from the end of the third lap, I caught up to another runner who was finishing up her 3.5 mini loop to finish the whole race. The mini loop was set up so that it shared the same last 2 miles of the course. This was extremely deflating knowing that she was about to finish, and I still had to cross the finish, AND run another 3.5 mile mini loop. grrrrr. When I got to the finish, people were cheering for the other runner and I was quite jealous. Even though I only had 3.5 miles to go, it seemed like 35. I ended up finishing my third loop with a much slower time of 3hrs 28 minutes. This put me at 9hrs 45 minutes overall. Any hopes of a sub-10 hour time were now out of the question. I headed out of the start/finish one last time, to finish the small 3.5 mile mini-loop to complete my 50 miles. Most of the mini-loop shares trail with the main loop, so it was familiar course. Only about 1 mile of it was new and acted as a cutover trail. My hopes of a sub 10 hour time were scrubbed, but I could still PR and get a sub 11 hour time (possibly 10:30). I tried very hard to "push it" for these last 3.5 miles...but I just didn't have much left. I found myself walking a lot, even on flat spots. Everything was sore at this point, and I was a filthy, muddy mess. All I wanted to was to cross the finish line. I worked my way up the last climb towards the finish line, having not passed a single other runner on my last loop, and saw the finish chutes off in the distance. As I approached, people started to cheer and for a brief moment, the pain was numbed by a burst of adrenaline. I sprinted across the finish with a final time of 10hrs 34 minutes.....and new 50 mile PR. (beaten by 44 minutes). I finished 15th place overall. So all in all....it was a good day, and a good race. Had their been no mud, I'm certain I would have had a sub 10 hour time. I am not complaining though, and will gladly take my 10:34. As soon as I get official results and pics, I will post them. It's amazing how we get into these ruts of day-in-day-out, "going through the motions" type situations where before we know it the days all run together and we can't remember what it means to actually feel the life we are living. Over the past week a chain of events has happened for me that have re-opened my eyes to just how inspiring life can be. I know what you are thinking.....easy with the cliche's John......but just go with me on this. When I was an undergrad (many a year ago), I remember getting excited about reading thoreau excerpts, or going to the cinemateque theatre and watching an independent film. I was inspired by good art, good music, and good conversation. Then years went by of the "same old-same old", and I lost touch with that side of myself. Even after my 4 months of hiking, that part of me never fully woke back up. Once in a while, I'd pick up an old Kerouac book from my hayday, or pop in a Haydn symphony...but it just wasn't there. But...tonight it was. This past week has been chock full of little things that have snowballed into something greater. Earlier tonight, a friend and I went up to the State Theatre here in town and saw a very small independent film called "Goodbye Solo". Other than one guy down in the front, we were the only two in the entire theatre (and the only two in the balcony). The basic storyline of the film dealt with a very upset/crodgity old man who befriends a taxi driver. 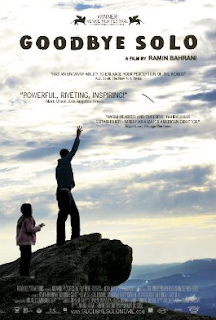 The story progresses....and ends up becoming incredibly moving. 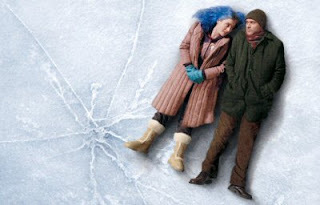 There were scenes in this movie that were extraordinarily poignant. In particular there was one scene where the two men are looking at each other and say nothing for over 10 seconds.....yet more is "said" in those 10 seconds than could possibly have been put into words. 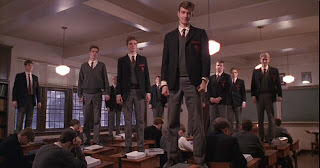 One of the most powerful moments in cinema I've seen in a very long time. So blah blah...right john....I know It's midnight and I'm getting all melodramatic. But to bottom line all of this: Things are going to be a little different tomorrow than they were today.....and I'm pretty darn happy about that. final scene in "Dead Poets Society"
final scene in "last of the mohicans"
the ice scene in "eternal sunshine of the spotless mind"
the mountain scene in "into the wild"
Willem Dafoe's scene in "platoon"
...or listening to the Cleveland Orchestra, from the balcony, as they play Holst's "Planets"
"Hold Still, regain your love of life and go down from this mountain and simply be. be the infinite fertilities of the one mind of infinity, make no comments, complaints, criticisms, appraisals, avowals, sayings, shooting stars of thought, just flow...flow....be you all, be you what it is, it is only what it always is. So shut up, live, travel, adventure, bless, and don't be sorry....."
...or the the moment you first realize you're smitten over someone. ....you see what i'm saying right?